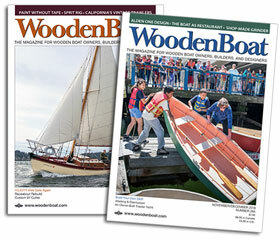 WoodenBoat School’s course, Elements of Sailing, is intended as basic instruction for those new to sailing. 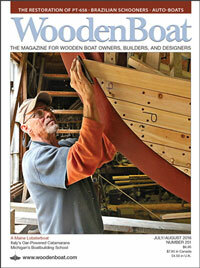 It is offered throughout the summer on the WoodenBoat waterfront in Brooklin, Maine. Students sail in Herreshoff and Haven 12-1/2s. Nathanael Herreshoff designed this full-keel, 16′ sloop in 1914. Joel White designed the Haven, a keel-centerboard version of the 12-1/2, which is just a wee bit wider to retain the same stability. With the centerboard up, the Haven draws a foot less water than the Herreshoff model, and is easily trailered.